For aromatic, topical or dietary use. The quality of the doTERRA essential oils is high, hence the oils are purely natural and higly concentrated. It often suffies to use one or two drops in order to achieve the effect you desire. Calm Down. Inhale with Lavender and Peppermint and apply to neck to help calm stress and relieve tension. Nourish Your Skin. Use a drop of Frankincense with 3 drops of carrier oil or dōTERRA Spa Hand and Body Lotion for beautiful, radiant looking skin. Spread The Love. 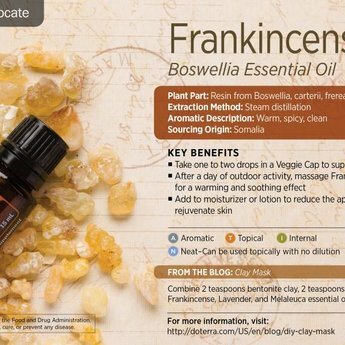 Frankincense smells wonderful and uplifts the mood. Wear it as a perfume to lift your mood and feelings of alertness. Overworked Hands? Rub Frankincense on your hands after a long day of gardening or working to promote a normal inflammatory response. Time To Focus. Apply 1-2 drops to your temples and the back of your neck to help improve your concentration. Nails Of Steel. Dry weather can take a toll on your nails. Try applying a drop of Frankincense to strengthen weak fingernails. Goodness In A Cup. Dilute a drop of Frankincense in 1 teaspoon of honey or in a small herbal tea and take daily to maintain good health. A Calming Mood Lifter. 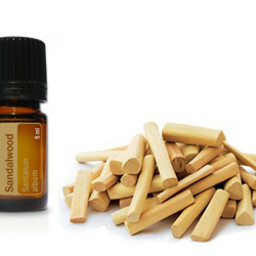 Frankincense can be applied to the bottoms of feet to relax and calm mood swings minor to major. In fact, it has been used to calm expectant mothers during pregnancy and labor. Diffuse in the room or massage a drop onto the chest or back of the neck. Cellular Vigor. Frankincense is a component of DDR Prime because it promotes healthy cellular proliferation. So, take Frankincense in a Veggie Capsule to support healthy cells in your body! No More Nerves. Use Frankincense to help relieve anxiety and create a positive mood! Try combining Frankincense, Peppermint and Wild Orange essential oil in your hand, rub hands together, and inhale deeply. This mix will also help with the most severe need for a three o’ clock pick-me-up! Be Youthful. Frankincense can help promote youthful, radiant looking skin and slow the signs of aging by reducing the appearance of skin imperfections. Dab with 1 drop of a carrier oil to trouble areas. Frank To The Rescue. Frankincense has been used for centuries for challenged skin, skin problems and nearly everything related to skin. It’s wonderful for aging skin too! Apply directly to the skin and dab the excess with a cotton ball. Muscle & Soreness Relief. 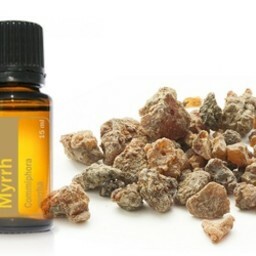 Use Frankincense with a cold compress after working out or on a hot day to cool down and relax. Or, use with a hot compress to soothe tired muscles or occasional cramps. Personal Sauna. After showering, add a few drops to a warm, wet washcloth for a final rinse. Enjoy the earthy smell as the steam creates your own personal sauna. For purchases of around 100 euro or regular purchases of doTERRA products, it is more cost effective to order in another way. Please send an email to info@blizwellness.com, mentioning what order you want to place and we will let you know what discount you can have. In mijn zoektocht naar een middel om van mijn lipoedeem af te komen, heb ik in een basis van gefractioneerde kokosolie (deze blijft vloeibaar, voelt minder vet aan en trekt beter in de huid) de Frankinsence olie en Grapefruit olie toegevoegd. Deze mix heb ik 3 x daags opgebracht op mijn benen, billen, onderrug, buik en armen. Daarnaast heb ik de Deep blue olie gebruikt op de extreem pijnlijke plekken. Simultaan ben ik behandeld door een Oedeem therapeute en zij was verbaasd over de snelle resultaten. Uiteraard zou je ook de hormoonbalancerende producten (zoals Clary Calm) nog kunnen inzetten. Ik heb in eerste instantie alleen de Grapefruit olie gebruikt en pas na toevoegen van de Frankinsence ontstond er een stroomversnelling. Frankincense is (een van mijn) favoriete oliën. Ik kreeg mijn vinger tussen een metalen deur. Frankincense en niets anders Frankincense kwam in me op. Drie keer per dag smeerde ik de pure olie op mijn vinger. Franky hield me in vertrouwen ondanks de angstige reacties van anderen dat m’n vingertop nooit meer goed aan zou groeien etc. Het topje heelde, de nagel en het gevoel kwamen weer terug, en na circa 3 maanden was mijn vinger met nagel geheeld. 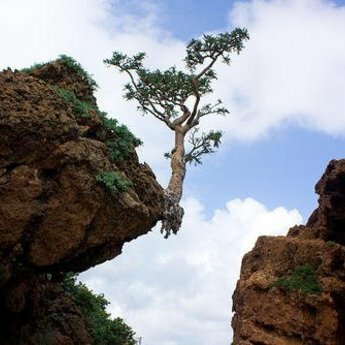 Een mooi voorbeeld van de kracht van Frankincense. Het heelt wonden, littekens en voorkomt litteken weefsel. Alle plekken waar onrustige cellen groeien, die daar niet van oorsprong horen: gebruik Frankincense. Je kunt het innemen onder de tong of een druppel in de palm van je hand of op een plekje smeren en de olie vindt zijn weg door het lichaam en heelt waar nodig. Ook ‘oude’ littekens verzachten en kunnen verdwijnen met Franky. Frankincense versterkt de werking van alle andere oliën. 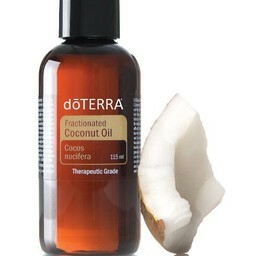 Fractionated Coconut Oil 115 ml.